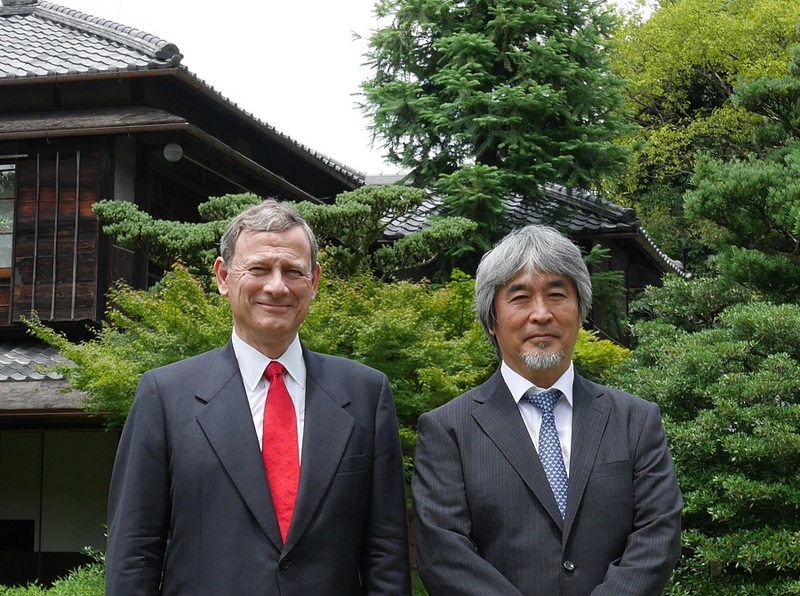 John G. Roberts, Jr., Chief Justice of the United States and Richard J. Lazarus, a professor of Law at Harvard Law School visited President Juichi Yamagiwa on July 13, 2015. The delegation was welcomed at Kyoto University’s Seifu-so Villa by President Yamagiwa, Prof. Kayo Inaba, executive vice-president for gender equality, international affairs, and public relations, and Dr. Yoshio Shiomi, director of the Graduate School of Law. 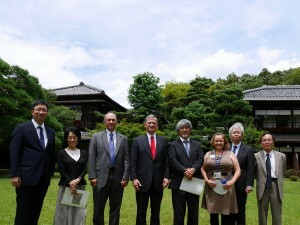 The delegates had lunch together at the picturesque villa, while discussing various matters relating to Japanese and U.S. law and academia.